After Polish Prime Minister Donald Tusk, it’s David Cameron’s turn to seize the moment and promote a vision for EU energy security that neatly fits the UK’s own energy objectives. In a leaked “non-paper” seen by Energy Post the UK Prime Minister sets out what he wants EU leaders to agree at their next summit in Brussels in June. Cameron calls for energy security to be embedded in the EU’s 2030 climate and energy package, full freedom to develop shale gas, renewables and nuclear – he rejects coal in the name of climate change – and a list of 15-20 priority infrastructure projects. Yes to energy efficiency but no to any binding targets on that. Yes to more European cooperation on energy but no to Tusk’s plan of collective buying. According to Cameron, competition must rule – except when it comes to state aid for urgent projects like a new nuclear power plant. It’s the countries which are least dependent on Russian gas that are taking the offensive in the newly elevated security of supply debate in Brussels right now. First Poland (gas makes up just 13% of its energy mix, although 60% of that comes from Russia), now the UK. In a leaked “non-paper”, UK Prime Minister David Cameron sets out a series of actions he would like EU leaders to agree when they next meet in Brussels on 26-27 June. This summit is supposed to talk about the EU’s plans for a 2030 climate and energy strategy, rising energy prices and industrial competitiveness and now, in the wake of the Ukraine crisis, security of supply. The European Commission is due to present a plan for reducing energy dependence. 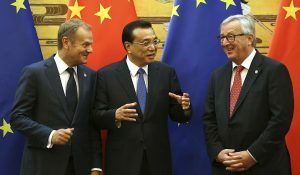 At their last summit in March, EU leaders seemingly failed to make the connection between improving energy security and the 2030 package as a vehicle to help with that – through the promotion of renewables and efficiency, for example. The UK – long an outspoken advocate of a 40% emission reduction target for the EU for 2030 – sets out to rectify this. “For the EU to successfully undertake a strategic shift in its exposure to gas supply from a single source, all actions need to be embedded in a long term framework.” It believes this framework should be the EU’s long-term energy and climate policy. The UK reiterates its calls for a 40% emission reduction target, an EU Emission Trading Scheme (ETS) with a “strong” carbon price and “no binding national sub-targets for renewables and energy efficiency [which] risk impeding national flexibility to develop a diversified, secure and sustainable energy mix cost-effectively”. 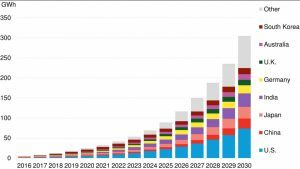 It argues that the 2030 package can increase energy security by backing the development of a “diversified range of low carbon energy sources” – renewables, nuclear, and carbon capture and storage (CCS). Leaders need to send a clear message that such indigenous sources – and here the UK adds shale gas – will be supported by the Commission “including where necessary through state aid”, and that “no legislation will be introduced which threatens [them]”. In other words, please give the green light to public subsidies for the new nuclear reactor at Hinkley Point C – an initial Commission analysis suggests a serious conflict with EU state aid rules – and please, no EU directives on shale gas. On the latter, the Commission has so far limited itself to a Recommendation with guiding principles for exploration and production, despite its environment department finding potential gaps in EU law to control the impact of shale gas. Meanwhile, CCS remains a priority for the UK. 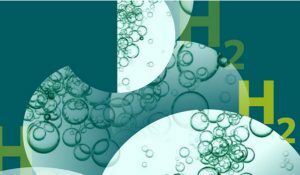 Its White Rose project at Drax power station in Yorkshire is the only CCS project in the whole of Europe that remains in the running for EU funds from the NER300, a programme that has raised money from the carbon market to fund low-carbon technologies. The UK is adamant that coal can only be contemplated in conjunction with CCS: “The EU still needs to meet its climate targets.” The White Rose project indeed targets a coal-fired power plant. By contrast, in his recent op-ed in the Financial Times based on another “non-paper” (which you can find here), Polish Prime Minister Donald Tusk argues that “Europe should make full use of the fossil fuels available. No nation should be forced to extract minerals but none should be prevented from doing so [either]”. The UK agrees – for shale gas (also a fossil fuel), but not for coal. It is difficult to fault what is very sensible from a climate perspective, but it is also true that climate policy here serves UK energy policy well. 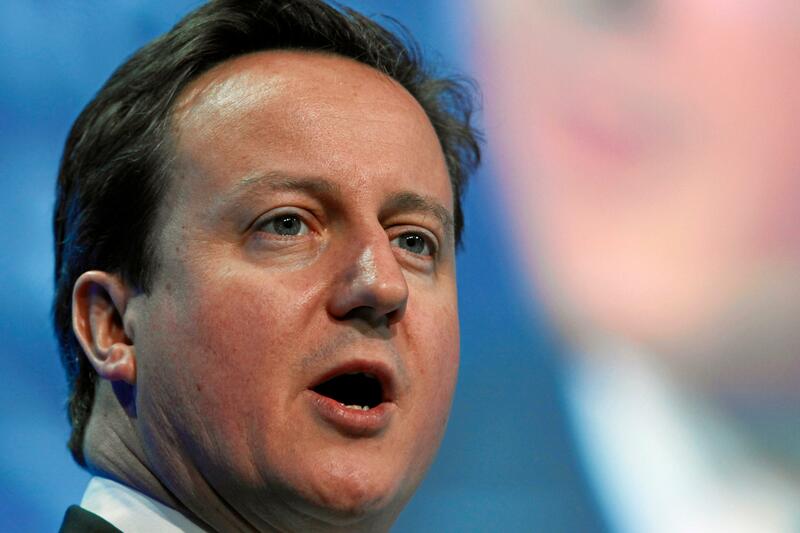 Cameron takes a similarly halfway position on Mr Tusk’s proposal for an Energy Union. Yes, the idea of strengthening the bargaining power of the EU vs. external suppliers is “a potentially useful route forwards” and there may be scope for “the voluntary co-ordination of commercial actors’ gas purchasing in the EU”. But a top down approach would be “difficult” and the UK is “very cautious over any proposal for the collective buying of energy”. The reason is competition, “which in the long-term is a key part of security of supply and reducing Russian market power.” Cameron points out that even voluntary coordination would need to be consistent with EU competition and single market law – without suggesting how this could be accomplished. One might ask, however, how Cameron’s faith in competition squares with his call for subsidies for Hinkley Point C.
Yet even the UK itself points out that even voluntary coordination would need to be consistent with EU competition and single market law – without suggesting how – and more generally, how does its faith in competition square up with the call for subsidies for Hinkley Point C? A third point where Cameron and Tusk diverge is on energy efficiency: Tusk neglects it; Cameron promotes it. Leaders should request the Commission “to undertake analysis on the cost of reducing Central and Eastern European exposure to an interruption to the supply of Russian gas through the deployment of energy efficiency measures and report back to the Council in October.” The Commission should work to raise awareness of the links between import dependency and energy efficiency. Analysis by the Coalition for Energy Savings suggests that member states are still not on track to meet the EU’s non-binding goal of a 20% energy efficiency improvement by 2020, despite the EU’s new 2012 energy efficiency directive. Energy commissioner Günther Oettinger – whose mandate ends in autumn along with the rest of the Commission – has promised a new Energy Efficiency Strategy before he goes. This is expected to cover buildings, heating and cooling, and transport. The UK looks ahead to this. It also suggests the eco-design directive for energy-related products could be improved (it’s being reviewed in 2014) and vehicle emissions performance standards – read: CO2 emissions standards – extended to heavy goods vehicles. What the UK doesn’t want is a binding target for energy efficiency which would “risk pre-judging the cost-effective pathway to overall emissions reductions”. Other studies suggest this is exactly what’s needed. The UK also points to the potential for energy efficiency to help Ukraine, echoing others, notably Professor Samuele Furfari in a recent interview with Energy Post. And like Furfari, the UK points out the need for Ukraine to reform and modernise its energy sector. These are the two priorities to get the country’s energy sector back on its feet. Energy infrastructure is a priority for Cameron, as it is for Tusk. 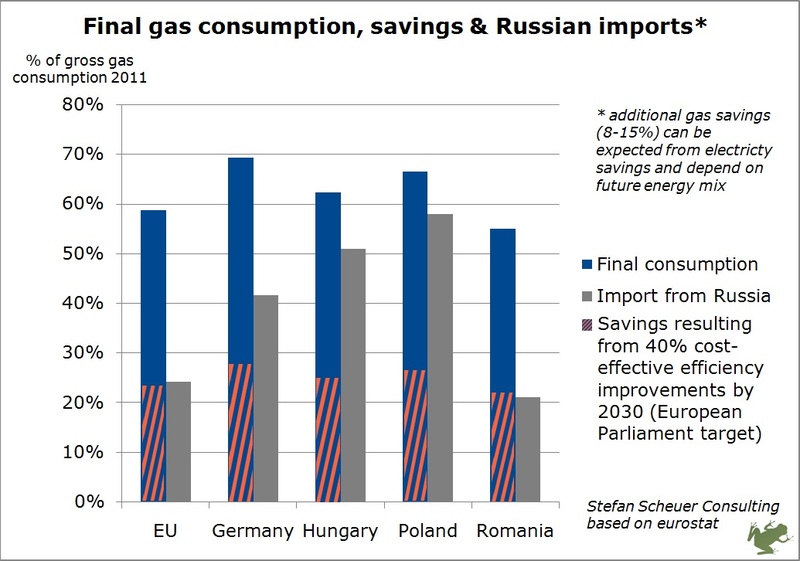 Europe has to ensure that “gas will flow to where it is most needed”. This means getting the EU network codes done – these are due to be completed in 2014 – and strict enforcement of liberalisation, it says. In addition, in June, leaders should agree on a “list of the top 15-20 [infrastructure] Projects of Common Interest (PCIs) that would have the most impact on EU energy security in the short to medium term”. The Commission should come up with a plan to accelerate these and report back in October. 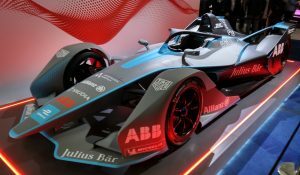 The priority projects should be finished by 2020, the UK says (this is actually the official deadline for all PCIs; there are some 200 in the pipeline). 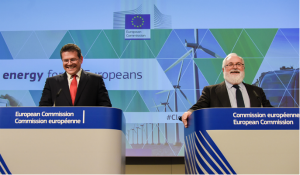 It calls on the Commission to look at using the Connecting Europe Facility – which provides €5.1bn for energy infrastructure projects from 2014-20 – the European Investment Bank and regional development funds for assistance. 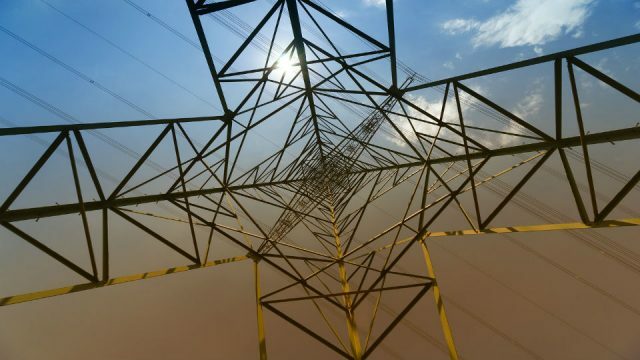 The UK’s call for the EU to explore how to remove potential barriers to private investments in EU energy infrastructure in the context of ‘unbundling’ rules has been addressed by the Commission here. Britain proposes several projects to prioritise: connecting up the Iberian Peninsula and Baltic States to European gas networks; underground gas storage; the Southern Corridor (including the Baumgarten Hub and Trans-Adriatic Pipeline); a North-South Gas Corridor with bidirectional flows in Central and Eastern Europe, connecting up to LNG terminals in Poland and Croatia; and better electricity interconnections in Central and Eastern Europe, and between the Baltic States, Sweden and Poland. These are all priorities viewed through the lens of reducing dependence on Russia. This is perhaps why the UK does not list the oft-quoted need for more electricity connection between the Iberian Peninsula and France – which would enable renewables from Spain and Portugal to flow north into the rest of Europe – or indeed the potential for more interconnectors between itself and the Continent. Finally, Cameron agrees that the EU must look outward to diversify its gas supply sources. The UK proposes to approach the following, ranked in a “very approximate” order according to where significant new gas supplies could come from: North America (62bcm from the US for world markets by 2020, plus perhaps some from Canada), Japan (24bcm for world markets if it re-starts its nuclear plants), transit countries for the Southern Corridor (the EU must ensure necessary consents are in place in Turkey, Greece, Albania and Italy to get 10bcm by 2019), Azerbaijan (to extend the Southern Corridor beyond Shah Deniz II – potentially an extra 10bcm by 2023), Norway (potentially an extra 25bcm by the early 2020s; perhaps a pipeline link to Europe), Algeria (potential for more exports) and finally other potential suppliers to the Southern Corridor such as Iraq. The numbers clearly favour the US, although some experts question whether it will play a decisive role in European energy supply, also because of the economics of shipping LNG across the Atlantic. Whether or not Japan re-starts its nuclear reactors is another big question. But Cameron has set out his views. As other major players such as Germany – very dependent on Russian gas – and France – currently revisiting its energy policy – opt to tread softly, the UK and Poland are seizing the moment to propose actions that suit their respective energy agendas. They all purport to support the European internal energy market – and they all want to shape it in their own likeness.